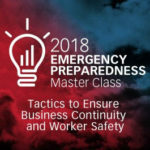 September is National Preparedness Month: Is Your Business Ready? It’s ironic but true. Health care is one of the most dangerous professions in this country. It’s also one of the largest, employing 18 million people and growing. Hospital workers experience about twice as many job-related illnesses and injuries as private industry workers.